Enjoy our Full Gallery which shows examples of these three kinds of charms so YOU can see how your concept might look. Once your design is done we can make your charm into all kinds of products. It’s tough being a non-profit. You do such great work, but so do many others. In fact, there are over 1million charities in the USA today, and then there is the WORLD! How do YOU engage new donors? How do YOU keep “charming” your current community to support your cause? We offer a fun and engaging solution using the Power of Charms. You see, charms have been used for centuries as a wearable way to signify passion for a cause or interest. 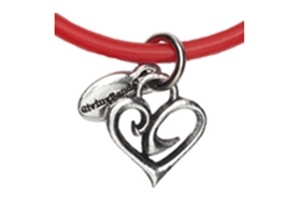 You can use this Power by turning your logo into a charm that everyone will want to wear. So after you event or campaign is gone, the legacy lives on. The people that support YOU wear their charms daily and keep spreading the word. It’s wearable, viral, impactful. And it WORKS! 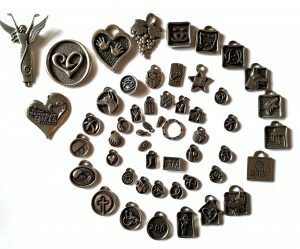 Since 2004, Charity Charms has been blessed to create custom charm programs for over 500 charities, schools, and cause minded businesses. See our partial list of client here. 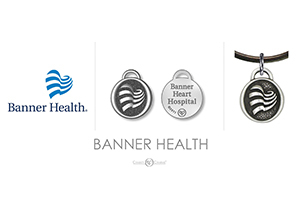 Since 2004 over 500+ custom charm programs have been created for charities, schools, businesses, teams, and foundations. These thousands of charms have helped Spread Awareness and Raise Millions, while telling the story for important causes.